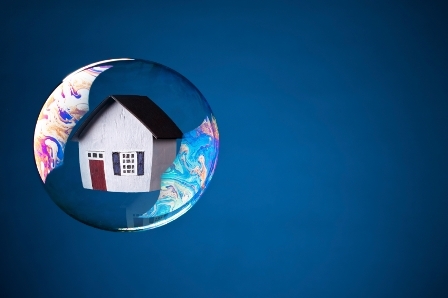 The chief economist of the National Association of Realtors called the third quarter of 2015 the best quarter for housing in a decade, the head of the New York Fed called the housing economy “solid,” and some pretty credible research shows we’re not actually in a housing bubble. Bobola’s comments, which are drawn from an aggregate post on the website, reflect an industry-wide optimism. The optimism comes in the middle of slumping new home build and apartment construction numbers for October, with residential starts dropping 11% - the slowest since March. But Bobola points to the rebound in the stock market following a lackluster August and September, and the October’s jobs’ report that was the year’s best. Meanwhile, consumer confidence has steadied after declining for the previous three weeks as Americans’ views toward spending improved by the most in five months, according to the Bloomberg Consumer Comfort Index. Also, the University of Michigan’s preliminary consumer sentiment index for November climbed more than forecast. Home prices nationwide, including distressed sales, increased by 6.4% in September 2015 compared with a year ago, according to CoreLogic’s latest home price index. This is up 0.6% compared to August 2015. Interestingly, October foreclosure starts posted a 12% monthly jump—the highest increase in more than four years, according to the latest RealtyTrac Foreclosure Market Report. A trend that B2R is watching closely is the percentage of first-time buyers among all home buyers – now at 32%, down from 33% last year, and the lowest since 1987, according to NAR’s 2015 Profile of Home Buyers and Sellers, which is a validation that millennials are putting off home buying in favor of renting, says Bobola.